Disc: A536-65-45-12 with Spraying Nylon. 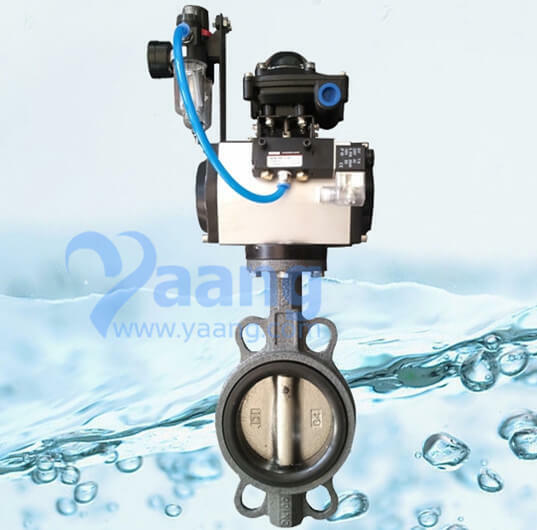 Yaang mainly offers resilient seated and AWWA butterfly valves. Valves size from 2" to 48", and connection ways can be lugged or semi-lugged wafer style, double flanged style, single flanged style, etc. Working pressures range can be from 150 to 250 PSIG. Body materials can be cast iron, ductile iron, stainless steel, WCB, etc, and the dis materials can be ductile iron (nickel coated cast iron and Nylon coated cast iron are available). Valve seat materials consist of neoprene, silicone, hypalon, Viton, Buna N, and EPDM. Where can we find the high quality Pneumatic Butterfly Vlave.